This post will mostly deal with WinRM and not PSRP but the same fundamental concepts apply to PSRP as well. The main difference between WinRM and PSRP is how it authorizes the user as they are protected by different ACL objects. The access token is not limited to the components above but they aren’t related to the topic at hand so we’ll ignore them for now. Each component is used in Windows to secure objects such as files, folders and API calls. When someone talks about “elevation” they are usually referring to the concept of running a process under a token that contains the full groups and rights usually restricted by default. The concept of split or linked tokens was introduced in Windows Vista to much vitriol under the name User Access Control (UAC). Personally I think UAC was a massive change in Windows and understand the frustrations some people had but it was definitely a step in the right direction from the wild wild west which was XP. A linked or split token is when Windows produces two different tokens associated with a logon, a limited and full token. The full token contains all the groups and privileges of the user is associated with as well as the integrity level of high. A linked token is a copy of the full token but with the higher privileged groups like the Administrators group and privileges removed. This means that a process created under both a standard and admin user have similar rights by default. An admin can then explicitly run a process under the linked token with all their admin rights if they need to but this isn’t done by default. The part that is of interest to WinRM is the LocalAccountTokenFilterPolicy setting which tells Windows whether to create a linked/filtered token for a network authenticated process like WinRM. By default this value is set to filter network logon tokens but the WinRM setup scripts from Microsoft disable this. This effectively means running Enable-PSRemoting or winrm quickconfig, the LocalAccountTokenFilterPolicy registry setting will be set to 1 (no filtering occurs). What this means is that any processes created from a network logon token, like WinRM or RPC, will have the full admin rights and integrity level associated with the user. Unfortunately this cannot be selectively controlled for specific processes or services so once on anything that is able to authenticate as a network logon will have the full rights of a user. You can see in the non-elevated local process, it has a label of Medium and the Administrators group is not associated with the process, e.g. it is running with the limited access token. Compare this to the elevated local process, it contains both the High integrity label and the Administrators group is associated with the access token. Finally when looking at the WinRM process, we can see that it has the same label and groups as the elevated local process, so where is the Access is Denied error coming from? A Network or Network Cleartext logon means that the logon occurred from the network and so it makes sense that WinRM processes have a network logon type. Unfortunately a network logon has a few restrictions enforced by Windows which casuses the issues I wrote about above, I’ve put some more details about each restriction below. When LSA handles a network logon, it usually receives a hash or token of the user’s password and not the password itself. This becomes a problem when the process running on that logon then tries to access a network resource. This is because this request does not have the password for the account which is usually available on interactive or batch logons. Without this password, any network requests are done under an Anonymous user. This is a problem as Windows will not allow anonymous access on an SMB share even if it is explicitly set in the ACL of the folder. This can be overridden by editing the local security policy but it is not recommended. In the case of a Network Cleartext logon (CredSSP), this isn’t the case as the password was provided to LSA during the logon and so the process is able to then use that password to authenticate with network shares. Kerberos is the similar where you can set a delegation flag when retrieving the initial ticket and pass that along to the server. This flag means that the process that is run on the network logon is able to then use that same Kerberos ticket to authenticate with another network server. DPAPI is a Microsoft interface used to provide easy access to crypto functions like managing private keys or credentials for a user account. Like the network access issue, it requires that LSA has access to the password of the user for it to work. In the case of a network logon this is not available for the reasons stated above. Because a Network Cleartext logon has the actual password, it’s processes are able to interact with DPAPI like usual and will not error out. Not much to say on this unfortunately, Microsoft restricts certain calls to the Windows Update API under a Network or Network Cleartext logon. Any attempt to install or uninstall updates using the COM API or even just wusa.exe will fail in these scenarios. I am not sure why Microsoft enforces this restriction so I cannot really explain this further. The New Credentials logon is a special logon compared to the others that I have mentioned. It is designed as a way to run a process locally that needs to access a network resource with a different set of credentials. The access token of the process is a clone of the token used to logon on the user but any outbound connections are authenticated as the user specified in the logon. The dsa.msc process running locally is run by the user who ran runas.exe but when it makes a connection to the domain controller it will be with the credentials I specified. Even better is that the user specified does not need to have the logon rights on the host and it can be any user/password combination. Because the access token that is created is a clone of the one who ran runas.exe, any local actions are still under the same limitations of the caller logon, e.g. 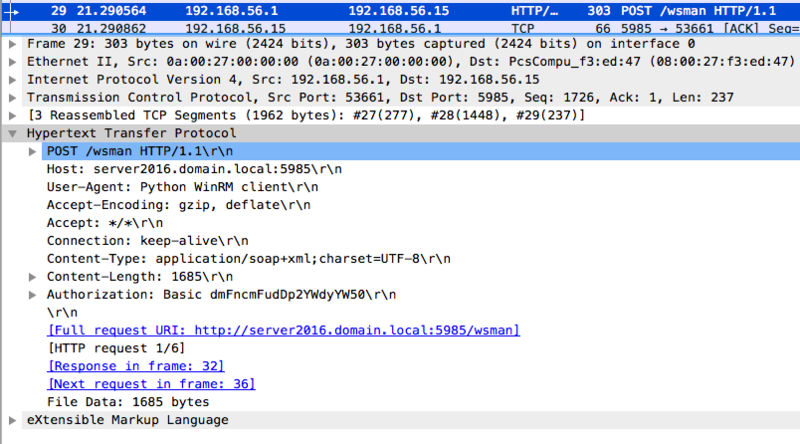 runas.exe /netonly from a Network logon will still not be able to interact with DPAPI or WUA. Using runas.exe /profile is a quick and easy way to run a process as another user account with an Interactive logon as it is a builtin tool that comes with Windows. The trouble will be passing in the password in the command, there is no /pass:password argument and the value must be sent in the stdin of the spawned process. PsExec is easier still as you specify the password as an argument as well as run the process as NT AUTHORITY\SYSTEM. The only trouble is that the program is not included with Windows and needs to be downloaded separately. Unfortunately most of these options make it harder to read the output and return codes of processes as they run in a separate shell. You will have to implement some shell pipes to redirect the stdout and stderr to some local files in order to save the output. As I am an Ansible user, I’ve been coming across these issues repeatedly as Ansible uses WinRM as the transport mechanism. 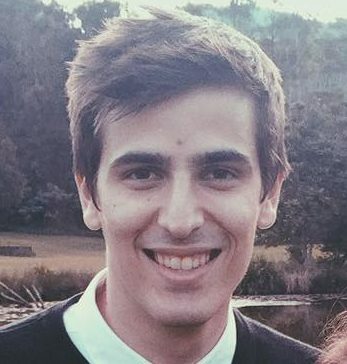 I first decided to implement a Python library that added support for CredSSP support with Ansible and that solved the issues I had at then. Over time, I’ve come across more things where CredSSP was just not enough and I was not able to run certain processes through Ansible without resorting to the hacks above. Ansible’s solution to this is to use their become runas implementation which handles all the logon processes internally. Not only does become allow me to run a process as a different user, but for Windows, it allows me to escape the Network logon hell. Without become this would fail due to the Chocolatey process being under a Network logon and the PowerShell install failing due to the logon type. In the past I would have had to fall back to using a scheduled task and a custom script to execute the command but in this process I loose out on the idempotency and simplicity of an Ansible module. More information on Become in Ansible can be found here. This is slow as the packet size for WinRM is a lot smaller than other implementations like SFTP so it requires more round trips. The other issue is that Base64 encoding takes time to complete and each stdin packer is then serialized in an XML packet which takes up more processing time. Ultimately there is not much that can be done to fix this with WinRM as it is a limitation of the protocol itself. Moving towards using SSH and SFTP would improve this scenario a lot more but currently Microsoft’s SSH implementation is still in beta. If you want to find out what options are currently enabled or disabled for a WinRM service on a Windows host, run winrm get winrm/config/service/auth on the host. As WinRM is run over the HTTP protocol, the authentication process is done through HTTP headers, in specific the WWW-Authenticate and Authorization headers. Depending on the auth type chosen, this can either occur in just one message or as a result of a series of challenge/response messages sent by the client to the server. Ultimately, the only advantage I see with Basic auth is that it only requires a single HTTP request and so would be one of the fastest options when network latency is an issue. In my opinion, the security concerns and lack of extra functionality like message encryption largely outweighs this positive. My recommendation is to avoid using Basic auth wherever possible and if it is needed, always run it with a HTTPS endpoint! More details can be found in the RFC 7617 standard for Basic auth. Let me just quickly sum this up in one sentence, Certificate auth is really fun to use…. not! The name may give you false hopes that you can use SSH keys and just create an authorized_keys file with a list of authorized keys for a user but unfortunately this is not the case. 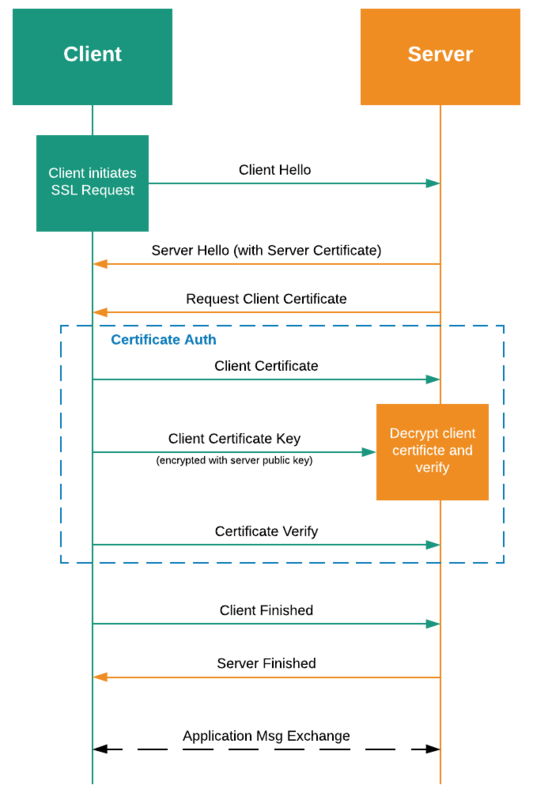 Certificate auth for WinRM is the use of TLS with Client Authentication which uses X509 certificates as part of the TLS handshake process to authenticate a user. Now the hard part is actually generating and mapping these certificates to a local user account. As my usual test bed is focused around Ansible and the pywinrm library, I have not tested the examples with the PowerShell native client and have heard that some of these steps may be incompatible. Unfortunately the lack of documentation makes this very hard to get right and I may revisit this at some point in the future. If everything goes to plan, you can now authenticate with certificate auth, both the certificate and private key must be accessible by the process running the WinRM command. For Ansible or pywinrm, this is easy as OpenSSL has already exported the key and cert as separate files. I have heard on the grape vine that you can set up certificates using AD CS (Active Directory Certificate Services) and GPO to issue those certs to servers and map them to user accounts. This would make the implementation on servers quite simple and painless once AD CS and GPO part has been set up. Unfortunately there is little documentation around this that I can find and I have yet to try it. I may create another blog post one day to go through this process in greater detail but for now I can’t give you any examples. Negotiate auth is not a specific auth protocol but rather a Microsoft provider that is used to “negotiate” a protocol to use based on the input. Currently it can be used to select either NTLM or Kerberos in the authentication process depending on the environment and server requirements. This is usually all transparent to the end user when using Microsoft tools but some third party tools, like Ansible or pywinrm, it is explicitly split between NTLM and Kerberos. For the sake of this section I’ll talk about NTLM authentication as that is what people sometimes refer to when mentioning Negotiate. If you are still using NTLM, please make sure NTLMv2 is in use as it is relatively easy to crack NTLM hashes and using NTLMv2 helps to avoid some of the existing exploits. One other issue with NTLM is that the strength of the session key and encryption process is based on the 128-bit RC4 cipher which is mostly considered broken these days. This means that message encryption used by WinRM can technically be cracked and the plaintext of the messages can be decrypted through some difficulty. Once installed, the client Kerberos configuration is set through the file /etc/krb5.conf. The the example below configured the server to understand the realm DOMAIN.LOCAL and configure the KDC (domain controller) to be dc01.domain.local. While this is default configuration, there are more options that can be set to control things like the ciphers that are allowed to be used for encryption and so on. Once configured, you can run kinit user@realm.com to get a Kerberos ticket for a particular domain account. This ticket is then used in the authentication process with the service meaning that that user’s password is never sent in the authentication process. CredSSP (Credential Security Support Provider) is a Microsoft protocol that is designed to pass the user’s credentials to a server in a secure way. This is unlike most other authentication protocols, as the username and password is provided to the logon process itself (Basic sends the encoded credentials but they are not available to the logon process). Because of this, a process that was created with CredSSP authentication is able to connect to a network with it’s credentials. Except for the initial TLS handshake, all messages sent to and from the client are encrypted with the TLS protocol and messages that contain more sensitive info are doubly encrypted with the authentication wrap function as well. As I spoke about in the logon type section, CredSSP is different from the other authentication protocols as the logon type spawned from CredSSP auth is Network Cleartext. This is what enables the process to access a network resource or protected internal resource like DPAPI work under CredSSP and fail on most other auth protocols. 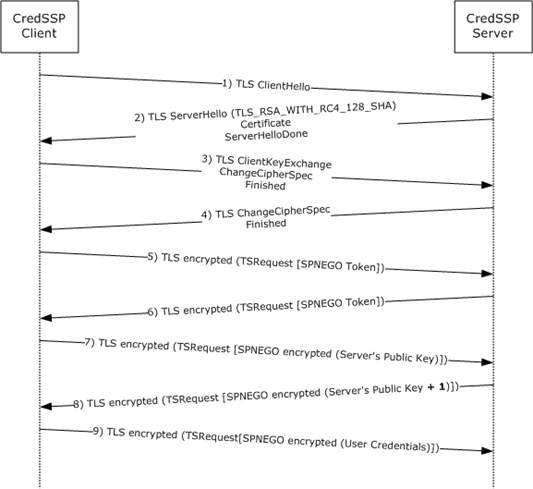 Unfortunately CredSSP does have its downsides as there are numerous requests that are required to set up the authentication process compared to Kerberos or even NTLM which has 1 or 3 requests respectively. It also is not fully supported by third party libraries due to the complexity of the protocol but there are cases where there is third party integration. Ultimately I believe it is an ok auth to use if Kerberos is not available in your environment and credential delegation is needed but the user should understand the implications that CredSSP creates before moving ahead. Once the user has been authenticated, the authorization process will occur and checks whether the user is authorized to access the endpoint it is connecting to. By default, all members of the local Administrators group is able to connect on the WinRM endpoint, while PSRP is accessibly by both the local administrators and the BUILTIN\Remote Management Users group. 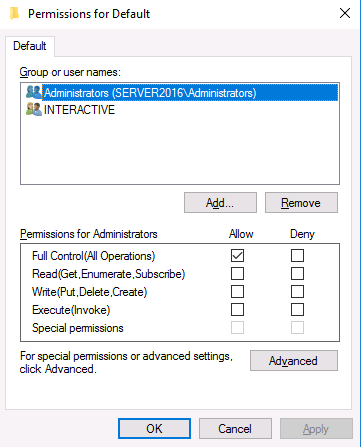 This gets somewhat confusing as some people are under the assumption that if you are a member of the Remote Management Users you automatically have the rights to run commands over WinRM. This is only the case for PowerShell Remoting, e.g. Invoke-Command, Enter-PSSession and not for commands run with winrs or most third party tools like Ansible. The same applies to the SACL entries but I won’t go into them as they define the auditing rules and not access rules that this is about. While it is straightforward to manipulate the permissions when you are able to use a GUI, there are definitely cases where doing this under a script is preferable. You can always just manually manipulate the string but this would be a headache inducing process and luckily there is a better way. Using PowerShell and .NET 4.5, you can import the SDDL to a CommonSecurityDescriptor object and manipulate it from there in a more programmatic fashion. SDDL strings can get a lot more complex than this and you can learn more about SDDL string formats at Security Descriptor String Format. Looking to the future, I don’t see anything major changing with WinRM and we will still have some of the issues we see today around complex configuration and annoying restrictions. I do have some hope around Microsoft’s Win32-OpenSSH port as that solves the speed and some authentication complexity issues. Unfortunately the Network logon type problem is still an issue there as those restrictions are limitations set by Windows and isn’t just a WinRM thing. It seems like Microsoft is starting to embrace some of the good standards that are in place in the Unix land which is great for everybody but let’s just hope they don’t lapse into their previous cycle of embrace, extend, extinguish like in the past.